Sadly, we are back home in Chicago, but happily we are married and have wonderful memories of our time in Italy. I just wanted to say thank you for all the work you did in coordinating and planning everything for our wedding. It was exactly what we had hoped for and Ravello was beautiful beyond our imagination. We both feel very blessed to have been in such a wonderful city with such wonderful people and culture. Palazzo Sasso was an exceptional hotel in every way. We will recommend the hotel and city to anyone interested in a vacation in Italy and will practically demand that they go there. I am very happy that we chose your company - there were many out there, and while I can't speak for the quality of the other ones, you made the process seem amazingly easy for our living so far away. Aside from my stress about our documents in the US, everything was perfect. 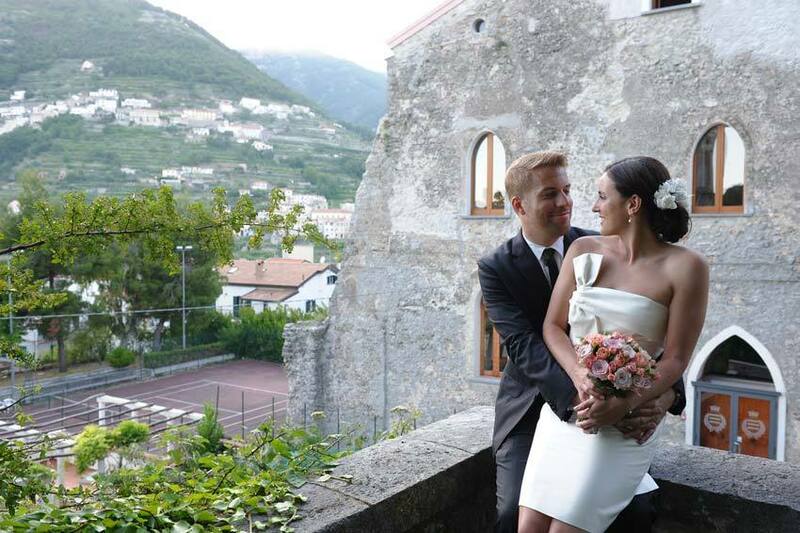 Again, our sincere thanks for all your work in helping us have such a memorable wedding day in Italy.